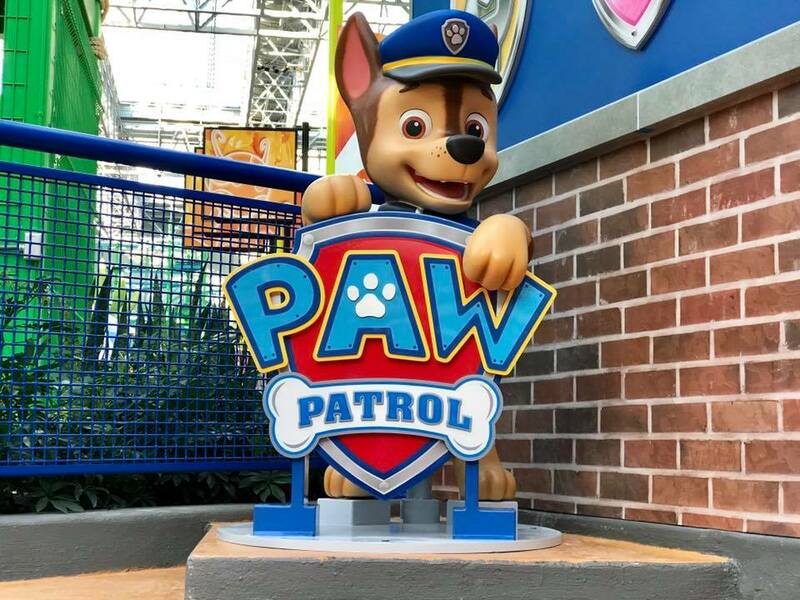 PAW Patrol is on a roll - or soon will be at Nickelodeon Universe at the Mall of America! BLOOMINGTON, Minn. - The Mall of America has announced the PAWsome news that Nickelodeon Universe's brand-new PAW Patrol immersive experience, PAW Patrol Adventure Bay will open on Thursday, October 25! The new immersive attraction is a 20-minute timed experience that allows kids to help Chase, Marshall and other characters from Nickelodeon's beloved CG-animated preschool series on rescue missions and other activities, including climbing the Lookout Tower or climbing down to the beach to see if there are any turtles or crabs that need saving, and will give kids the chance to explore all of the amazing sights and sounds of the PAW Patrol's home of Adventure Bay. Kids of all ages will find something new around every corner while visiting the attraction. Additionally, it includes a waiting area for parents where they can charge their electronic devices - and themselves. PAW Patrol Adventure Bay will be located at the east entrance of the Nickelodeon Universe. Admission to the attraction $7.20. It will also be included in the unlimited all-day wristband. The ride is a six point attraction. "Whether preparing for rescue missions inside of Lookout Tower or climbing down to the beach to see if there are any turtles or crabs that need saving, kids of all ages will find something new around every corner while visiting the attraction," the MOA said earlier this year. The area will be the "perfect addition" to the Nick-branded theme park as it celebrates its 10-year partnership with the MOA this year, added Nickelodeon. "As we celebrate our 10-year partnership with Nickelodeon this year, we are thrilled to continue bringing new experiences of all levels to life for guests to enjoy," said Jill Renslow, Senior Vice President (SVP) of business development and marketing at the Mall of America in a statement. "We remain committed to creating immersive storytelling experiences for guests of all ages and this new PAW Patrol attraction fits perfectly." Produced by Spin Master Entertainment, PAW Patrol is a CG-animated, action-adventure preschool series starring a pack of eight heroic puppies - Chase, Marshall, Rubble, Skye, Rocky, Zuma, Everest and Tracker - led by a tech-savvy 10-year-old boy named Ryder. The series' unique blend of problem-solving skills, cool vehicles and cute doggy humor has propelled it to become TV's number-one preschool series. The series has since rolled out worldwide, and has become a global smash hit. PAW Patrol made its U.S. debut on Nickelodeon in August 2013, and the show's fifth season is currently airing on Nickelodeon. Seasons six and seven, along with two specials and a feature film, are also in the works. For more information about Nickelodeon Universe at Mall of America, please visit https://nickelodeonuniverse.com. Mall of America® announces the opening of PAW Patrol Adventure Bay, a new one-of-a-kind immersive experience in Nickelodeon Universe®, on October 25. 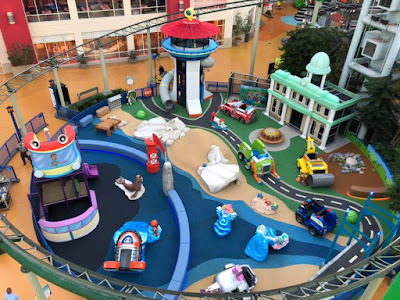 Based on Nickelodeon’s top-rated animated preschool series PAW Patrol—which is produced by Spin Master Entertainment—the new 4,000 square-foot-attraction will light up children’s imaginations as they recreate their favorite PAW Patrol missions inside the world of Adventure Bay in an exciting open-play experience. PAW Patrol Adventure Bay will transport kids into a fun, creative play environment where they can help Chase, Marshall and all their friends through many of the familiar sites of Adventure Bay. Whether preparing for rescue missions inside of Lookout Tower or climbing down to the beach to see if there are any turtles or crabs that need saving, kids of all ages will find something new around every corner while visiting the attraction. 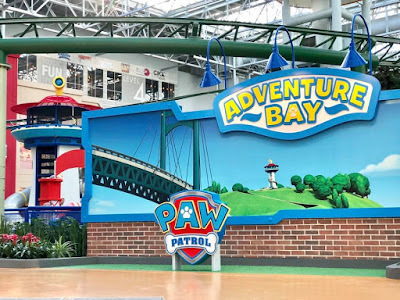 PAW Patrol Adventure Bay admission will be six points ($7.20) and is also included as part of the unlimited all-day wristband for Nickelodeon Universe ($35.99). It will be a 20-minute timed experience. Additionally, the attraction will include a waiting area for parents to supervise their children while also having the opportunity to charge their electronic devices. Located at the east entrance of Nickelodeon Universe, the PAW Patrol attraction will join the more than 27 rides and attractions located inside the 7-acre theme park, and the more than 520 world-class shops and attractions at Mall of America. Surf with Everest, ride in Sky's helicopter and play with all the PAW Patrol pups. It's a PAW Patrol themed playground with lots of cars, buildings and more for the kids to climb on. More Nick: Celebrate Halloween At Nickelodeon Boo-niverse! Originally published: Thursday, October 18, 2018. Original source: Fox 9 KMSP; Additional sources: kare11.com, KRFO AM 1390. Follow NickALive! on Twitter, Tumblr, Google+, via RSS, on Instagram, and/or Facebook for the latest Nickelodeon Universe, Nick Jr. and PAW Patrol News and Highlights!